There is no “Magic 8 Ball” when it comes to properly utilizing available techniques to design the specific plan that best fits the individual client. That’s where the “art” of estate planning comes in. That unique talent to cut through the mountain of facts and see the solution in a “Blink” (as bestselling author, Malcom Gladwell would say). That skill is something you don’t learn in law school or everyday CE programs - - it’s a matter of experience that grows to become wisdom. 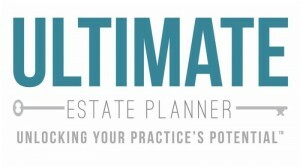 You now have an opportunity to accelerate your learning curve by listening in as one of the nation’s renowned estate planning attorneys, Paul Hood, shares some of his unique wisdom - - on a special program entitled, “The Fine Art of Designing Estate Planning”. This program also includes real life examples of poor design you need to avoid - - or risk liability! 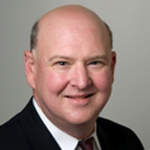 Paul Hood is presently a speaker, consultant and commentator on estate planning issues. He also serves from time to time as a trust protector and trustee. A former estate planning and tax attorney in Louisiana, Paul received his undergraduate and law degrees from LSU (he’s a proud Tiger!) and his LL.M. in taxation from Georgetown University Law Center. He is a frequent speaker, is widely quoted and his articles have appeared in a number of publications, including BNA Tax Management Estates, Gifts and Trusts Memorandum, CCH Journal of Practical Estate Planning, Estate Planning, Valuation Strategies, Digest of Federal Tax Articles, Loyola Law Review, Louisiana Bar Journal, Tax Ideas, Family Foundation Advisor and Charitable Gift Planning News. He is the author of BNA Portfolio 830 on general valuation. Paul has spoken at programs sponsored by a number of law schools, including Duke, Georgetown, NYU, Tulane, Loyola (N.O.) and LSU, as well as many other professional organizations. He taught estate and gift tax at the University of New Orleans for five years, and is now teaching a course on estate planning for the online masters in taxation program for Northeastern University. From 1996-2004, Paul served on the Louisiana Board of Tax Appeals, a three member board that has jurisdiction over all Louisiana state tax matters. Paul and Tim Lee wrote a book on business valuation that John Wiley & Sons published in the spring of 2011, and he is presently writing a book on estate planning for blended families that should be out in the spring of 2012. A proud father of two teen-aged boys, Paul also was a longtime pitching coach, and he is a huge baseball fan. Paul and his estate planning attorney wife, Carol Sobczak, reside in Napa, California.